Another insiders-look into the world of high-end Food and Wine, an article written by new and weekly guest contributor; Ilona Thompson the Editor in Chief for Palate Exposure, a self-described believer in the Sustainability of Critical Thinking and Personal Responsibility. She is also a regular contributor to the Brenner Brief. Look forward to seeing Ilona's contributions here, each and every Wine Wednesday, please help me welcome her to the Cuvée Corner Wine Blog. We all know that hard work and dedication can result in becoming very wealthy. Wealth allows one to buy glamorous toys and sumptuous experiences. 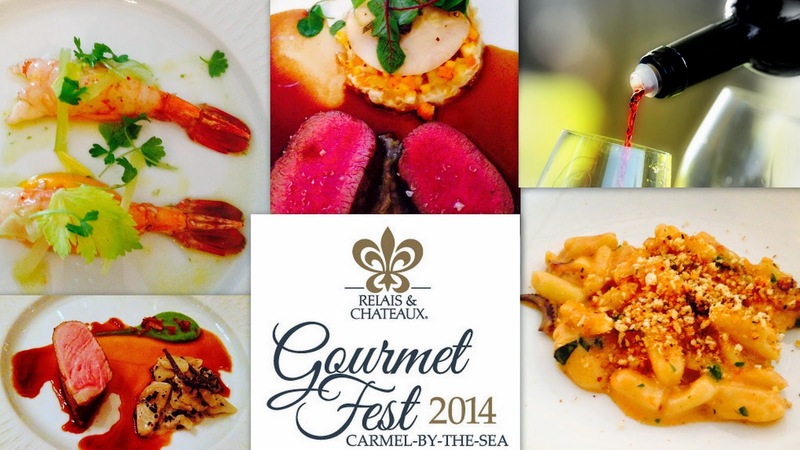 This past weekend I had an opportunity to experience life with the 'one-percenters', and attend the GourmetFest, in lovely Carmel-by-the-Sea. 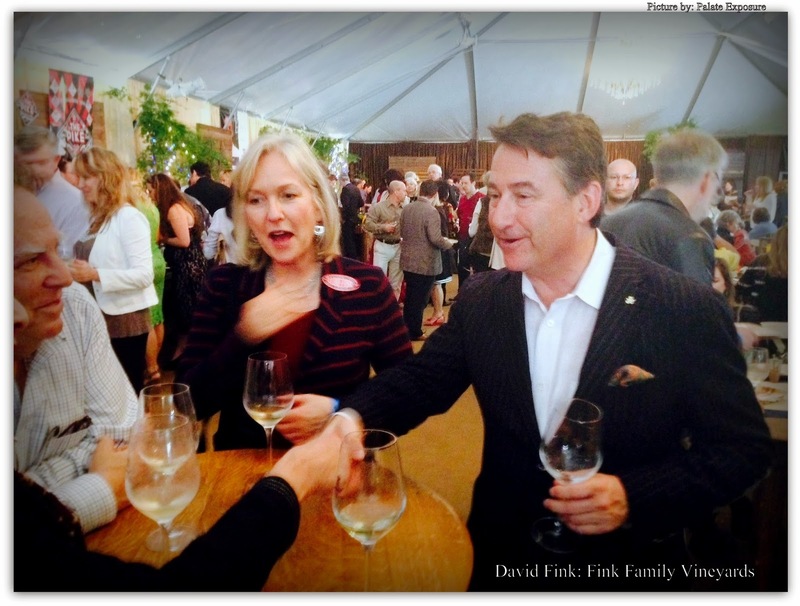 Over the last decade I've been privileged to attend virtually every wine festival of note. Arguably, I’ve experienced the best that California has to offer in gourmet food and fine wine. I have been fortunate to have sampled the best of the best. Or so I thought. 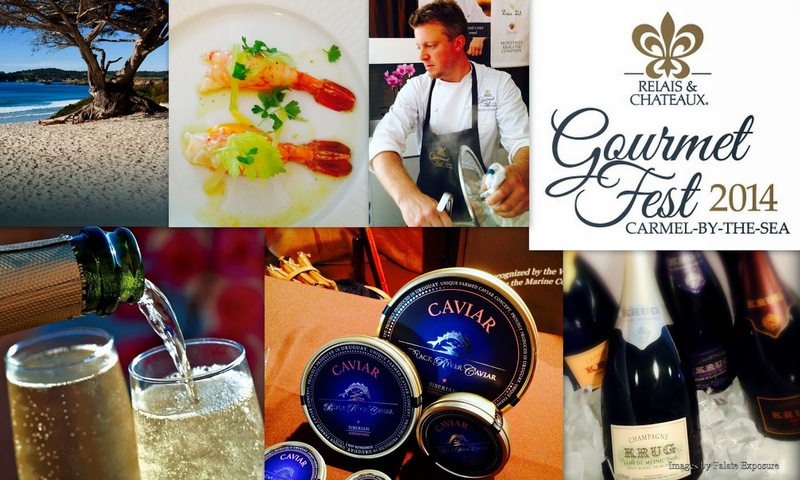 The Gourmet-Fest turned out to be the "Mother of All Events;" because of its spectacular, ultimate confluence of wine, food, service and location. Like a dish composed of beautiful ingredients, when combined by a skilled and thoughtful hand, it transcends a sum of its parts. This event went above and beyond any wine and food festival I've ever experienced. Stepping into the event’s venue, Carmel’s Sunset Center, I felt like Alice falling into the rabbit hole. I took a step into a magical world of wine and food royalty that was both delightful and bewildering. It’s one thing to watch Michelin-starred chefs and world-famous winemakers on television or read about them in magazines, it’s quite another to have them all in front of you, graciously serving you. 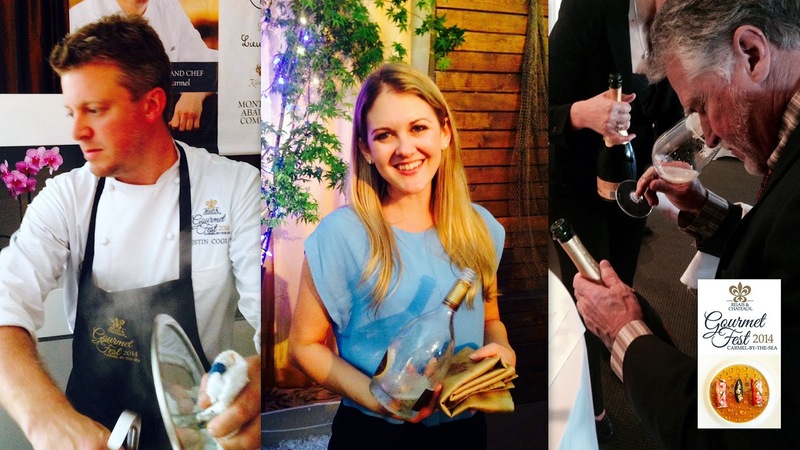 For foodies and oenophiles, it was a once-in-a-lifetime experience. An impossible dream, complete with a note pad and a spit bucket; when no one wants to spit or take notes. David is one of three brothers and hails from Virginia. He started out as food and beverage manager at Highlands Inn. Throughout his career, his religion has been guest satisfaction. None of their requests were too outrageous, too big or small. He quickly rose to the top ranks as one of the most important hoteliers and restaurateurs in the country. He is the owner of L'Auberge Carmel and a number of much lauded restaurants. As a director on the Board of Relais and Chateaux, he oversees a number of top luxury properties. Additionally, in 2000, he developed the Fink Family vineyard, dedicated to the production of small lot, vineyard designated Pinot Noir. He is no stranger to prestigious wine events. At the Highlands Inn, back in 1987, Fink was one of the original founders of the legendary Masters of Food and Wine, an annual event which enjoyed a fourteen year run under his leadership. To say that Gourmet-Fest was an overwhelming, ultra heady experience would be an understatement. The seminars were presented by the elite wineries of France: Aubert De Villaine of Domaine de la Romanee Conti, Veronique Droughin, Oliver Krug and Cheval Blanc. 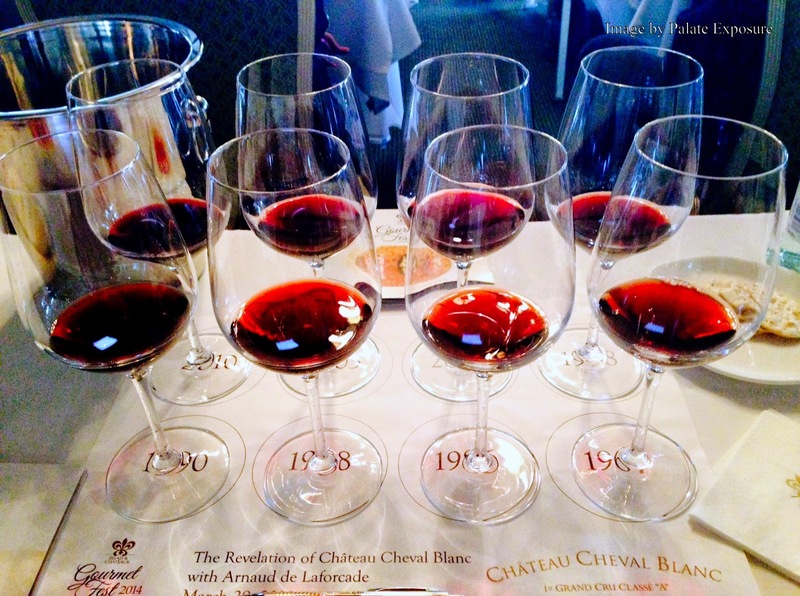 Notably, all the wines for the seminars came directly from Chateaus. Interestingly, the vintners themselves noted that this was the first time they’ve had an opportunity to taste such extensive verticals of their own wines, much less that of their peers. The panel moderators were stellar. Master Sommelier, Larry Stone from Augustin Huneeus Vintners (Quintessa, Flower, Faust & Neyen) was the epitome of poise, wisdom and grace. The sommelier team, led by Toby Rowland-Jones, founder of the Big Sur Food and Wine Festival, was world-class, cohesive, precise, consummate professionals. The audience was filled with some of the most important wine personalities of our time, including Josh Jensen from Calera, Paul Lato, Gary Pisoni, Archie Mclaren, Chairman of the Central Coast Wine Classic, etc., they asked the sort of inspired questions that made the audience feel awestruck. I have never seen the room fall silent in utter otherworldly reverence during a wine seminar. Every word, every pause carried a special meaning. Aubert de Villaine teared-up. Olivier Krug's, third generation vintner's enthusiasm was quite contagious, and his Champagnes brought the sommeliers and guests to their proverbial knees. You could hear "Oh My God" whispered under the breath of professionals who have seen and tasted it all. The food was provided by Chefs from luxury Relais & Chateau resorts worldwide: Barbara Lynch from Menton, (Michelin 3 star) Christopher Kostow from The Restaurant at Meadowood, (Michelin 3 star) Jean Michel Lorain from La Côte Saint Jacques, Gaetano Trovato from Arnolfo, Jason Franey from Canlis, Joachim Splichal from Patina, Johann Lafer from his namesake Johann Lafers Stromburg, Justin Cogley from Aubergine at L’Auberge Carmel, Michael Tusk from Quince and Cotogna, Michael White from Marea, Patrick O’Connell from Inn at Little Washington, William Bradley from Addison, Jean-Michel Lorain representing La Côte Saint Jacques and many more. Wineries pouring Champagne included Krug, Reinart, Dom Perignon, Veuve Cliquot, Burgundies were presented by Domaine de la Romanée Conti, and Maison Droughin, Bordeaux from Château Cheval Blanc, wonderful German wines by Weingut Dönnhoff and Weingut Künstler plus some of the most illustrious California wineries: Calera, Chappellet, Harlan, HDV, Kongsgaard, Lail, Mt. Eden, Pahlmeyer, Peter Michael, Roar, Pisoni, Quintessa, Talbott and many more. If any of this appeals to you, sprint, don't jog to sign up for the next year's festival. So does money does buy you unique experiences that are virtually irreplaceable, but what about happiness? According to a Russian saying, some people are "born with the shirt on" meaning that they were born into fortune, luck, wealth, or anything else we associate with ingredients for happiness. Although I write about food and wine what I really speak about is human experiences. There is a meaningful difference between living and existing, at any level. Gunter Kunstler put it best, when he shared with me his life philosophy, that is rooted in German proverb, loosely translated as "man's last shirt doesn't have pockets" That means you don't get to take it with you. For a few thousand dollars David will arrange for you to be picked up in the newest S-Class Mercedes (that changes ambient lighting according to your mood,) sleep in one of the most luxurious hotels in California, Aubert de Villaine will bring some Romanee-Conti, Christopher Kostow will create a gourmet meal you will not soon forget, Graham Gaspard from Black River Caviar will spread caviar all over your wrist, and Toby Rowland-Jones will pour an impeccable glass for you. All you have to do is show up and indulge in the opulence! Expensive? Yes, to some extent, but it’s also an enormous value. You may be lucky enough to be born with a shirt on, so enjoy life while you can because that shirt has no pockets! Experiment. Emote. Embrace life while you can. Join us in Carmel in 2015. I guarantee that David Fink, will once again outdo himself! Special Thanks to some amazing individuals who greatly assisted in making Gourmet Fest 2014 the huge success that it was. Toby Rowland Jones was one of the volunteer Sommeliers. Nathaniel Munoz, who is the Manager of Aubergine, was the Wine and Sommelier Director for GourmetFest. Nathaniel was in charge of the implementing and perfectly executing the whole wine program throughout the weekend.